Second Act (film, 2018). A 2018 American romantic comedy film with "PG-13" rating by STX Films/STX Entertainment. Directed by Peter Segal. Official Trailer. Second Act is a 2018 American romantic comedy film directed by Peter Segal. 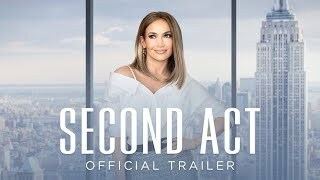 Second Act | Official Trailer | Own It Now On Digital HD, Blu-Ray & DVD. Maya Vargas (Jennifer Lopez) is the assistant manager at the Value Shop store she has worked at for several years. During that time, she dramatically improved sales, customer relations, and general store culture through her intuitive and innovative methods. She is awaiting a store visit by an executive of her company (Mr. Weiskopf), and anxiously hoping to be promoted to manager. Her boyfriend, Trey (Milo Ventimiglia), co-workers and several regular customers all assure her she's guaranteed to get the promotion, but instead she's passed up in favor of Arthur (Dan Bucatinsky), a non-local company employee with an MBA from Duke. Mr. Weiskopf explains that while he values Maya's dedication and success, she only has her GED and no college degree which makes her ineligible for the promotion by company policy. Maya is bitterly disappointed, but she reluctantly agrees to stay on as Arthur's second-in-command at the store. Later that day, at her best friend/co-worker Joan's house (Leah Remini), her friends and Trey throw Maya a surprise party for her 40th birthday. Maya's godson (Joan's tech-savvy son), Dilly, overhears Maya's frustration about being overlooked due to her educational shortcoming. Unbeknownst to her, he decides to digitally give her an enhanced background with a Harvard education and exaggerated upper-class life, and falsifies a new resume. Maya unexpectedly receives a call from a major retailer, Franklin & Clarke (F&C), for a job interview. Surprised that CEO Anderson Clarke personally wants to meet her, Maya nonetheless manages to impress Anderson. Unsure why she would be regarded so highly, it is then that she realizes that Dilly gave her background a dramatic makeover over social media. Anderson's daughter, Zoe, who works under her father, interrupts the meeting. Zoe (Vanessa Hudgens) displays a dislike and professional jealousy towards Maya, but Anderson is still impressed with her and offers her an executive position at the company. Maya is reluctant to accept the offer since her so-called background and credentials are all lies. This changes, though, when she becomes fed-up with Arthur's obnoxious and clueless mismanagement of the Value Shop. She dramatically quits the store and accepts the offer to work at F&C. Principal photography began on October 23, 2017, at Food Bazaar Supermarket in Queens, New York, and continued in The Bronx and Manhattan, including Michael Jordan's Steakhouse in Grand Central Terminal. 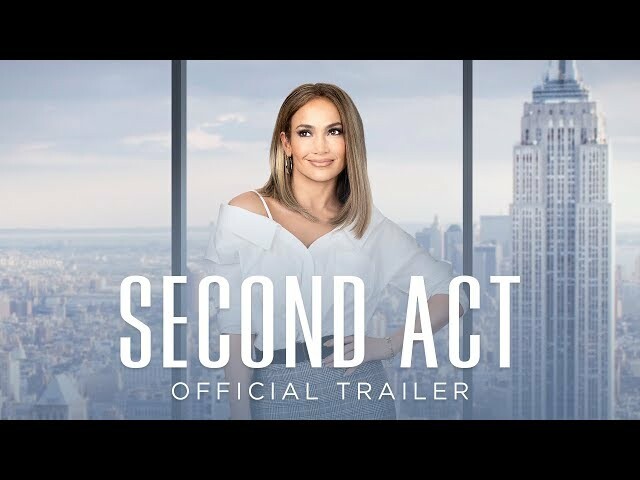 The film Second Act was scheduled to be released by STX Films and STX Entertainment on December 14, 2018, on December 21, 2018 (United States) and on January 17, 2019 (Germany). The duration of the film is 104 minutes. With a budget of $16 million, the film grossed over $72.3 million. Second Act got average rating from critics. The audience dislikes the film either. Audiences polled by CinemaScore gave the film an average grade of "B+" on a scale ranging from A+ to F.